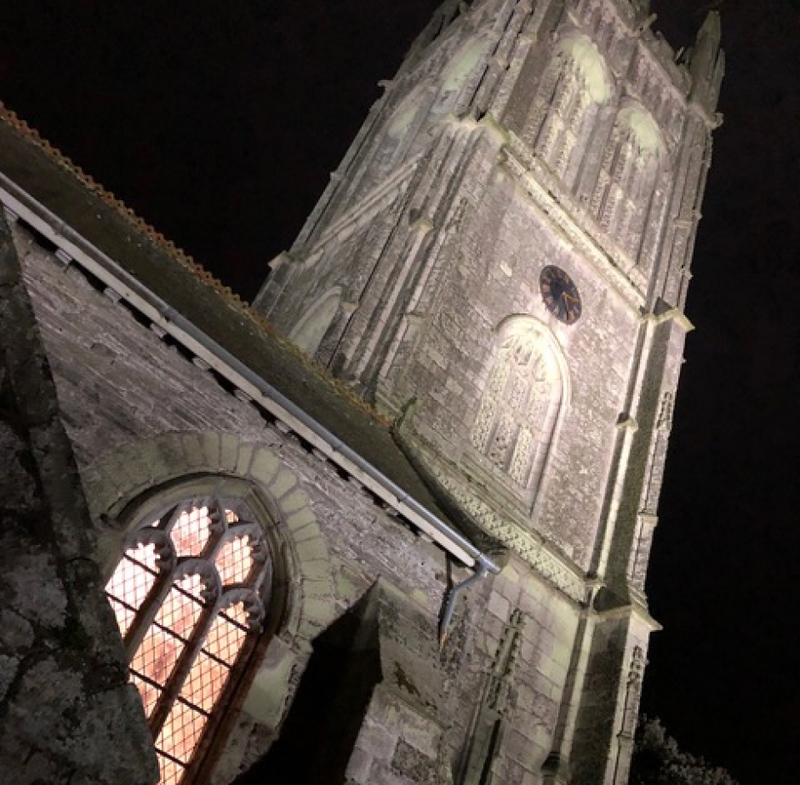 The church at Probus is a wonderful venue; it is a medieval 10th century church, built around 930AD by King Athelstan, mentioned in the Doomsday Book of 1086, has the tallest tower in the county and has a wonderful atmosphere to sing in. This was the second time in nearly 110 years that the choir has sung there. Yesterday evening, as guests of Tresillian Singers, and singing to an almost full house it was worth the long trip up from the deep west of the county. Under the direction of Elaine Tangye our hosts were on top form and so it proved for us as well. The audience from mid Cornwall were treated to an extremely varied repertoire which was well received. One item which the Tresillian Singers sang was “Grenfell from Today”, music by Philip Stopford and words by Andrew Longford. This was a beautiful rendition and it made its impression on everyone present. As Elaine commented in her introduction, it was very pertinent for Tresillian Singers to sing this as the community of Mousehole has been part of the healing process from that atrocious fire in June 2017. The village alone has so far welcomed thirty-six guests, survivors, evacuated neighbours and firefighters with many holiday let owners and businesses having made this possible. The village has a very special place in many Grenfell survivors' hearts now, so it was particularly poignant that the choir choose to sing this song of solidarity. There was also a retiring collection to support the fantastic work undertaken by Cornwall Hugs Grenfell. Following the concert Mousehole were treated to a sumptuous feast courtesy of our hosts. Then it was down to the local hostelry to enjoy a drink and further singing until the coach came and took us back west before the midnight hour struck! Thank you Elaine, thank you Tresillian Singers for your wonderful hospitality and being part of an exceptional evening of song. 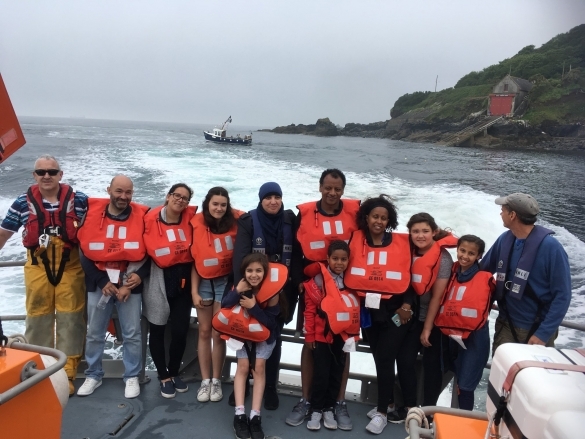 Lovely photo on board the Ivan Ellen with Cormorant in the background - who did two trips for Cornwall Hugs Grenfell - one young lady will be pleased as she wanted Ivan Ellen to go faster - no problem for the Ivan Ellen - faster than the speed of light !!! 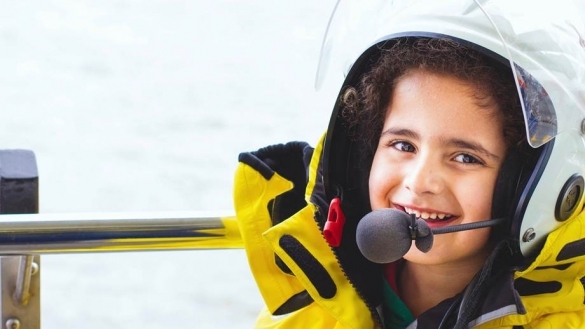 Last October, families staying in Mousehole for a holiday visited Penlee Lifeboat Station to learn about its lifesaving work and its own story of tragedy from Coxswain Patch Harvey. 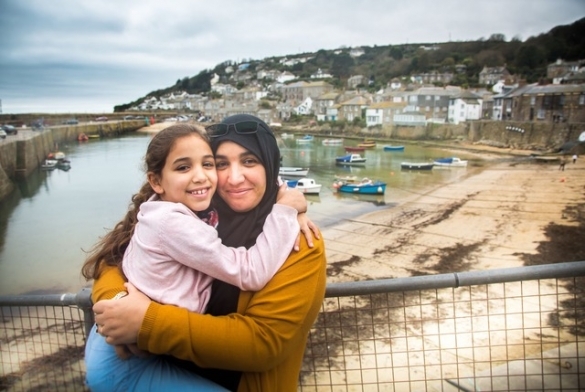 As Cornwall Hugs Founder Esmé Page says: ‘There’s an understanding of what it is to have an enormous wound in a community and for everybody to rally round’.